By using the new CSIRO Energise app, ‘citizen scientists’ will help to paint a clearer picture of contemporary energy use to guide research and decisions concerning Australia’s energy future. For example, solid data can help overcome information gaps around how much households pay for energy, what is driving these costs, and how to reduce these costs into the future. The app is a key component of CSIRO’s Energy Use Data Model project, which is collating, centralising and enhancing various streams of energy data. Until now, this information has never been brought together, and the resulting platform will benefit researchers, government and industry. Over time, users of CSIRO Energise will receive a range of ‘micro-surveys’ covering general household characteristics, tariffs and power costs, energy-usage patterns, appliances, uptake of renewables, and more. The app will follow users’ responses over time and ask questions in response to specific events, like how air conditioning is used on hot days, and how that can then improve understanding and management of peak energy consumption. 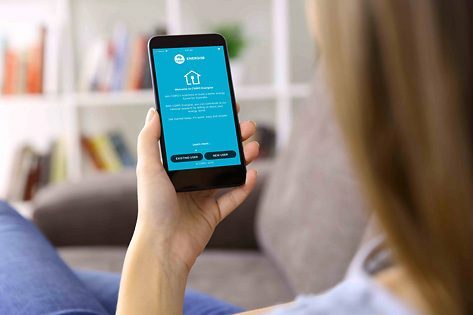 CSIRO Energise is intended as a two-way communication channel, with users receiving insights including tips for energy efficiency in the home, cutting-edge research updates, and short videos from scientists. CSIRO Energy Director Dr Tim Finnigan said that by taking part, households across the country will provide valuable data to support the science that will ultimately improve our national energy systems. “We know the way Australians use energy is changing, but it’s important for us to know how quickly, and what’s driving that change,” Dr Finnigan said. Project Leader Dr Adam Berry noted that consumer surveying has moved beyond large-scale mail-outs and focus groups. “With CSIRO Energise we can ask important questions at critical points in time, for example in the wake of an extreme heatwave or unexpected blackout,” Dr Berry said. “Getting this information quickly and from a broad sample of households means that we can quickly spot issues, and then start working on solutions. Data collected through the app remains on Australian servers, features data encryption and is only accessible to authorised users. Download the app.